The first West Virginia FILMmakers Festival was held in the spring of 2001 at the Landmark Studio for the Arts in historic Sutton, West Virginia. 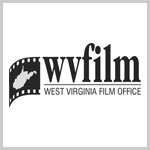 Co-founded by Kevin Carpenter and Steve Fesenmaier to showcase West Virginia’s best filmmakers. Films are now shown primarily at the Elk Theatre, a Historic 1930s one-screen theater on Main Street in downtown Sutton. Filmmaking seminars, other festival activities, and after-parties with live music are held at the Landmark Studio for the Arts. Hosted every October, the festival has become the singular celebration of West Virginia Filmmakers. The festival is characterized by enlightening films, networking opportunities, live music, and great parties. The West Virginia FILMmakers Festival is a wonderful venue for meeting filmmakers, actors, and industry contacts, while experiencing the latest produced films reflecting trends, techniques, and technology. It takes the efforts of many over the years to make this festival happen. Thank you to all who have worked, supported, attended, sponsored and shared their films. We would not exist without you! Philip Hawken is a graphic designer originally from the UK. He studied Graphic Design and Illustration at the University of Hertfordshire. He’s been living in the US for the past four years and he has won 19 design awards since he’s been on this side of the pond! He’s also currently working on his first film, a low budget horror set in West Virginia.